Magna Tech Temp Air, Inc.
Daniel O. White Electric, Inc. Comment: A/C for top zone of house not working. Comment: HVAC needs check-up and may need mainenance. Comment: I have a new mini-split wall mounted 12000 BTU A/C that need to be installed in a room we use for dinner. There a distance of approx 9 feet from the place it will be installed and the outside wall where the compressor will be installed. The distance from the outside unit to the breaker panel is approx 50'. I also have a surge protector that probable will need to be installed at the breakers panel. Comment: They continue to have problems with the unit when trying to cool. We have been able to flush the unit and get it to work but the "fix" did not work this morning. I am trying to get a quote for my daughter and then get her on a maintenance plan for the unit. 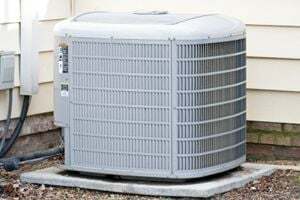 Comment: Looking for a possible service/repair of the cooling system or a replacement. Comment: AC is blowing hot air, even when it is on âcool.â Outside unit seems to be blowing cold air, but not inside. N S Heating & Cooling, Inc.
Alexandria HVAC & Air Conditioning Contractors are rated 4.66 out of 5 based on 2,416 reviews of 42 pros. Not Looking for Air Conditioning Contractors in Alexandria, VA?